An Agricultural Research Service (ARS) agronomist in Mississippi has found a way to help cotton growers in the Southeast maximize profits when they use poultry litter as fertilizer. The practice makes sense. Poultry litter (chicken waste, spilled feed, excess feathers, and other poultry-house materials) contains nitrogen and phosphorus, both important crop nutrients. Applying it to the soil recycles some of the tons of litter generated annually by poultry operations throughout the United States, says Haile Tewolde, an ARS agronomist in the Genetics and Sustainable Agriculture Research Unit. More farmers are using poultry litter these days, but some apply more than they need. The excess nitrogen and phosphorus can dissolve in storm runoff and pollute surface and ground waters. Farmers who raise cotton and other row crops wanted guidance on how best to use it. Previous studies have determined profitable rates for commercial fertilizers, but there is little information about how much poultry litter cotton growers should use to maximize profits. “We thought the economic implications for growers were worth exploring,” Tewolde says. Tewolde and his colleagues used a commercial fertilizer spreader to apply poultry litter to cotton at seven different rates on two farms. They measured cotton lint yields for 3 years at one farm and 5 years at the other. For comparison, they also measured yields where they applied standard rates of synthetic fertilizer. They also factored in litter costs and cotton’s market price to determine optimal rates for earning a profit. 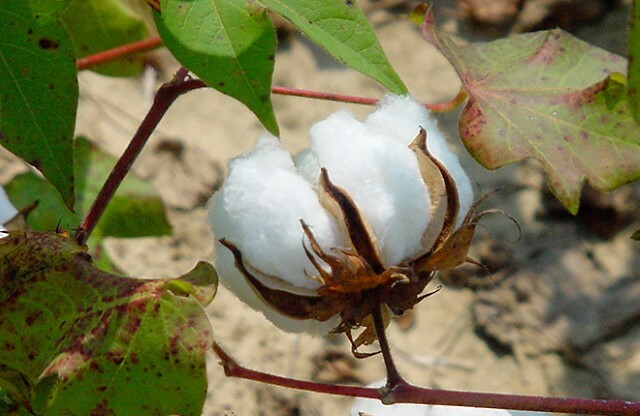 The researchers found that the most profitable rate differed from rates that produced the highest yields because of the current low cost of cotton. Maximum yields were achieved with 9,000 to 12,000 pounds of litter per acre, but profits were highest with only 7,000 pounds per acre. They could achieve slightly higher yields only by adding considerably more litter. If cotton prices were to rise significantly, they could reach a point where it would pay to apply more litter. 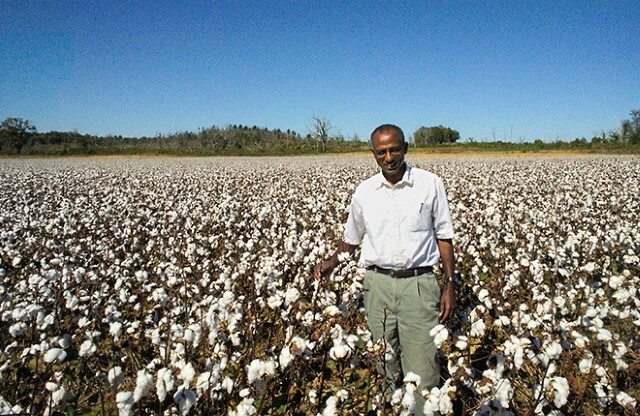 But cotton prices have stayed low in recent years, Tewolde says. The results give cotton growers specific recommendations that should help them avoid applying more litter than they need. They also highlight poultry litter’s capabilities as a fertilizer. Growers who use poultry litter were unsure if they could meet their nitrogen targets with poultry litter alone. The results show that they can, and they spell out how to provide the right amount of nitrogen and no more.—Dennis O’Brien, ARS Office of Communications. Some farmers use poultry litter to fertilize crops. Poultry litter has nitrogen and phosphorus. The study shows how much poultry litter to use on cotton. The best rate balances yields with profits.